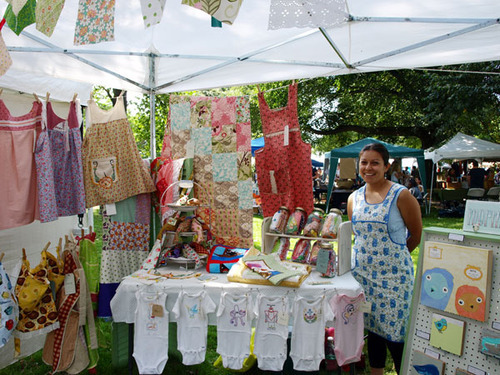 Melissa of Hippie Hamper, and her beautiful embroideries, quilts, vintage fabric aprons and appliqued baby bibs… this shot doesn’t even get a fraction of the work she had on display. (…I couldn’t stop staring at that pink apron to her right, too sweet). 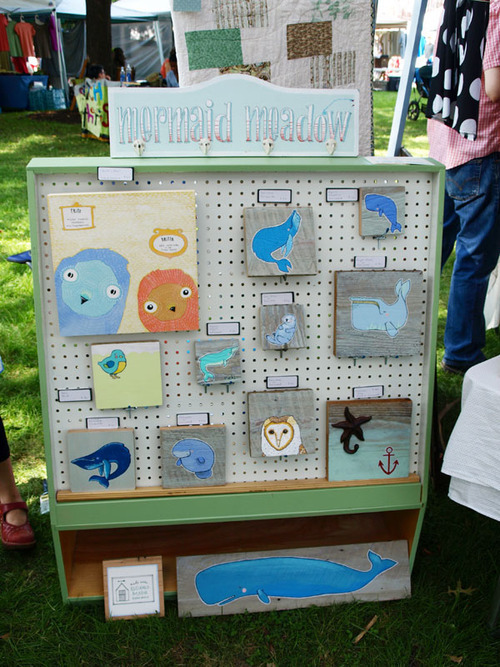 And sharing the booth with her, the lovely illustrations and paintings on rough, weathered wood, from Mermaid Meadow (Bevin was off exploring when I stopped in). 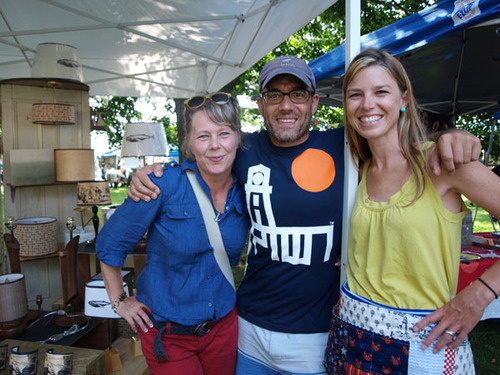 And these lovely folks, left to right, Thordis of Atomic Salvage, who sells lovely vintage Icelandic and Scandinavian goos (several of which you’ll find among my photos of our home… I can never resist), Michael of Re Go with his vintage lamps and handmade lampshades, and Bevin of Mermaid Meadow (above).